King ragworm (Alitta virens). 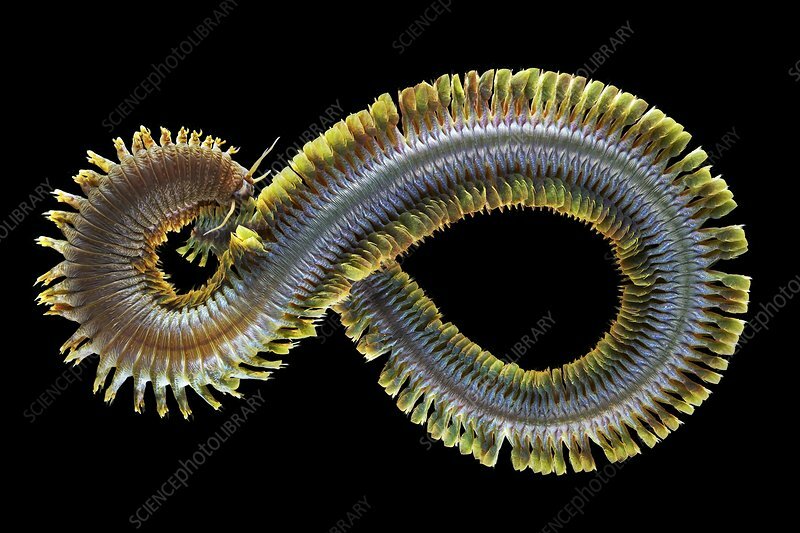 This is a marine polychaete, a class of annelid (segmented) worms. Each segment has a pair of fleshy un-jointed limb-like appendages (parapodia) which aid in locomotion and act as external gills.